This isn't your typical Vindale Research review. This is based on my personal experience using Vindale. Updated April 30, 2018. I thought a 15% pay increase would be more than enough for us to start again. Well, it wasn't the case. Our expenses ballooned immediately. I didn't know where to turn, who to turn to, and what to do to make ends meet. It was tough. For those who live on a single and low-income, it's very difficult to adjust when even one expense shoots up. My wife and I started finding part time jobs we could do from home. One of those part-side hustles was taking surveys. One thing I found that a lot of people are recommending was Vindale Research. Vindale Research is one of the oldest survey sites in the industry. 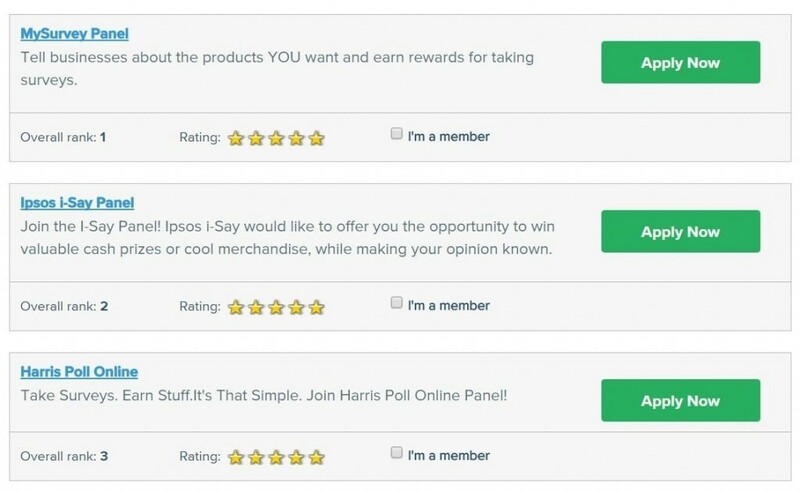 It rewards members for sharing their feedback with consumer brands. The members get real money for taking market research surveys. At first, I wasn't exactly sure how this would work for us especially that survey sites have had a bad reputation of being scam sites and that some people aren't making any from survey sites. I chose to use it because I read some people have some success on it, and the some reviews are just too convincing not to be sucked in. Before we started our survey journey, we decided to put in our best effort and not hold anything back – no what-ifs, buts, and everything else that would hinder my judgment on using the app. I told my wife that if we put our best to this survey and it works, then, we'd continue. If we didn't get what we wanted to get, then, it's fine knowing that we put our very best to try it. Right at the get-go, I was able to familiarize myself with the app within 5 minutes of browsing through it. The site is very intuitive and user-friendly. The only thing I would have liked is a mobile app. As of this writing, Vindale Research doesn't have mobile app. After 8 months, we made over $1,100 from Vindale Research by taking surveys, watching videos, referring friends, getting codes, among others. See the image below for proof. I can't believe we managed to make over $1,000 using this survey platform. 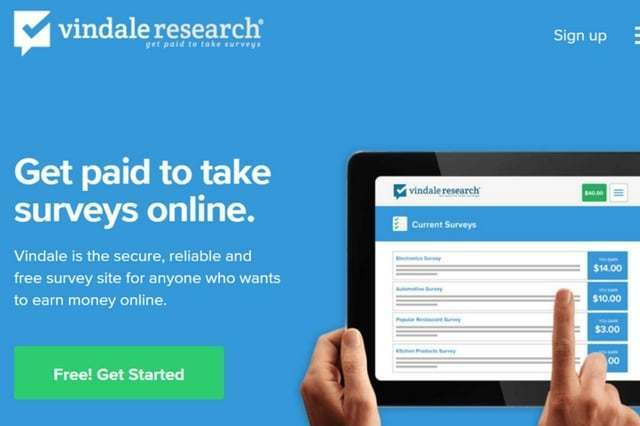 If you are looking for a survey platform that will reward you with cash, Vindale Research is the way to go. Click here to create an account for FREE and start making money from Vindale Research. Vindale Research is a well-established company. It has been in the business for at least ten years and is one of the first survey sites in its industry. Vindale members have earned more than $5,918,497 in real cash. Frankly speaking, it's one of the best survey sites out there regarding helping people make money through surveys. You'll find out why as you go through this review. Vindale Research: Scam or Legit? Vindale Research surveys are among the best out there. I've tried so many survey sites in the last couple of years. 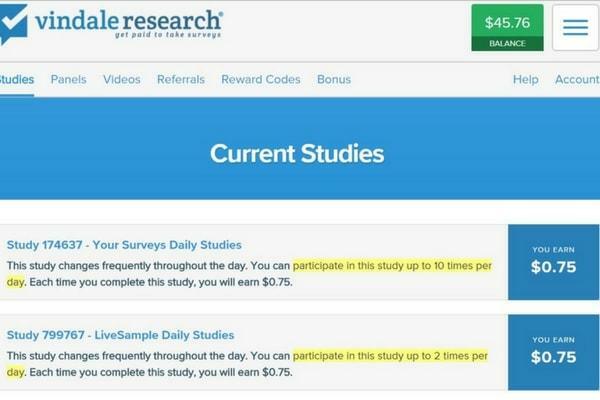 Vindale Research is, by far, one of the best survey sites I've tried regarding payouts and rewards. Here are some ways to make money using Vindale. When you sign up for a Vindale Research account via the desktop or Vindale Research app, you will automatically earn a $2.00 bonus. There's no ifs and buts. You will get it right away. It's that simple. 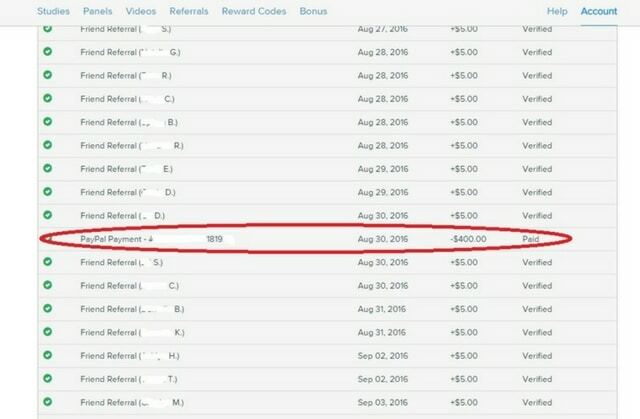 As you can see below (example study 174637), you can see how much you will earn and how many times you can do it in a day. You do have to qualify for the study. If you do quality, you are looking at $7.50 for ten studies. Not bad, right? Best of all, you can choose the survey that you want to be a part of. You can easily see how much the payout is and how long the survey is first before you even begin doing it. For those who want to extend their earning potential, Vindale Research recommends you sign up for other survey panels. That's convenience right there. Instead of going to different sites, you can now sign up for additional panels right from Vindale's platform. While I recommend you sign up for these panels through Vindale, I'd like to suggest that you try to sign up through this link. Why? Sometimes, the survey panel links I've got on my survey list direct you to the same panels, but with the bonus, you may not get when you sign up for these panels directly through Vindale Research. Vindale Videos are content-based or short promotional videos, which are around a minute or less in length. As a reward for watching, you will get paid around $0.05 or less. You'd think that it's just a waste of time when you are only getting paid $0.05 or less. True but not true? This is, by far, the best feature of Vindale Research. Also, this is the most generous referral offer I've seen to date from any survey site I have come across with. When you refer a friend, and he/she gets verified, then, you will get a referral fee of $5 per person. What's best is that there's no limit on the number of people you can refer. Vindale Research is growing, and so it's ways of providing more money to its members. You can get reward codes when you participate in contests and win such Vindale Research reward codes, which you can redeem for cold cash. That's right, that's additional cash on top of what Vindale is already offering. So, where do you go to get the codes? You can go to its Facebook page, Twitter account, and its blog. I bet that you check your Facebook, Twitter, and some other people's blog regularly. So, just add Vindale in that list, and you are good to go. You just have to check regularly because they don't post when they're going to sending these codes. Vindale Research is genius when it comes to gimmicks. If you want to earn more without doing the heavy work, Vindale has other ways you can make additional money. Say cheese for cash. When you just receive your Vindale payment, submit a photo of your smiling face and tell Vindale your experience. The price….. easy money of $5. This means you get additional payment for just smiling. Who does that? Oh yeah, that's right…only Vindale. So, you've heard all the right things about Vindale. For sure, you are waiting and looking for the bad stuff about Vindale. Disqualification. You won't qualify for some surveys but don't get frustrated. That's just how Vindale determines the right people for the right surveys. It's standard all throughout other survey sites. Payment schedule. Vindale only processes payments twice a month (i.e., the 15th and 30th/31st of each month). If you have hundreds of money sitting in your Vindale account and are itching to get it right away, you won't get it until the next cycle comes along. On the lighter side, when you do cash out, it is a significant sum of money. Survey expiration. When you see a survey, you only have a couple of hours or days to complete it. If you don't, you'll miss the survey. That said, there are so many surveys available each day that you won't need to feel in a hurry to answer all the surveys that you see. Just make sure when you sign up with your email address that you confirm your email, or you won't be able to avail the opportunities within the Vindale platform and/or you won't get paid. First of all, I am impressed how Vindale Research transfer money to your account. Vindale Research pays out on the 15th and 30th/31st of each month. As far as my experience goes, the money gets credited the next business day. So, when the money is transferred to your account, it will show on the next day. Again, that's my experience with Vindale Research. Vindale Research is not that functional on mobile. That's a good thing because when you are trying to answers survey questions, you may need to do a lot of scrolling up and down on a page. A desktop version for taking a survey is ideal in this case. Signing up is completely FREE with Vindale Research. You can sign up and earn $2 BONUS for FREE. Not a lot of survey sites do that. I began filling out the personal information, which allows Vindale Research to decide the right surveys that I am eligible to apply for. This is a good thing. Vindale doesn't have to waste time sending me offers I am not qualified for. I, on the other hand, don't have to try surveys I'm not qualified for. Watch out for the surveys Vindale sends you as they expire so quickly. Having said that, you can always go to your dashboard and find the surveys you can try. The minimum payout is $50. This was daunting at first and is intimidating for some other people. This is quite high to be a minimum. Having said that, if you've done Vindale Research for a long time like I do, it is easy to reach that $50 minimum. It has more ways than many survey sites out there to earn you more dollars (i.e., watching videos, referring friends, getting reward codes, etc.). Is Vindale Research survey legitimate? The answer is yes. Vindale Research's sign up is easy, is not a scam, and is one of the best survey sites to earn extra money. There are different ways you can make money from watching TV, answering survey questions and others. Some people may not like Vindale because they get disqualified a lot of times before getting accepted to a survey. You may find yourself in the situation, at first. That said, as you continue to use Vindale, you'll see that you'll get qualified for more surveys and other opportunities. Vindale Research is a marathon, not a sprint. You'd make way more money if you stick longer. Sign up now and earn $2.00 bonus right away. Sign up via Vindale Research login here.